Oumou Kanoute poses for a portrait at Haymarket Cafe in Northampton. 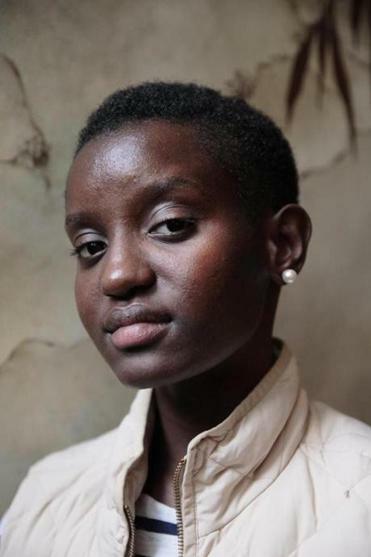 NORTHAMPTON — Smith College sophomore Oumou Kanoute no longer runs alone along the hilly Northampton roads. She has skipped out on campus celebrations. And she now prefers to eat in her room, avoiding leisurely meals and potentially uncomfortable run-ins in the dining halls. Nearly two months after Kanoute wrote about her encounter with the Smith campus police on her Facebook page and posted a video of the incident that went viral, her life on campus is markedly different, as she guards her privacy after weeks of public exposure. Kanoute, 21, a former cross-country runner and the first in her family to go to college, drew national attention after a college employee called the campus police because she seemed “to be out of place” while eating lunch and relaxing in a common area. She believes she was targeted because she was black. On social media, strangers from around the world offered Kanoute encouragement, while others questioned her motives. Smith’s president launched an investigation. And galvanized by Kanoute’s story, students at the private women’s college staged a mass walkout during convocation earlier this month and demanded that administrators address potential racial bias at Smith. 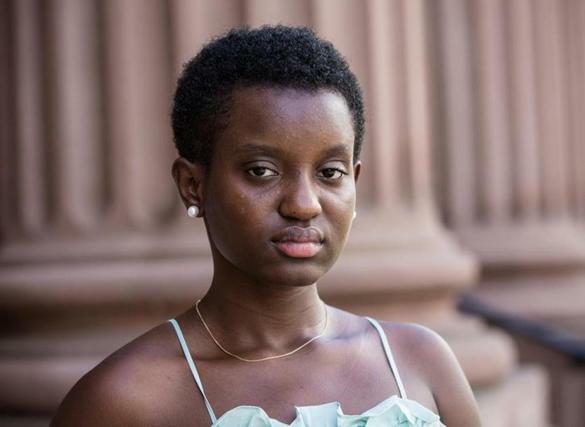 In the weeks since the July 31 incident, Kanoute has come to represent the tensions many blacks say they face at America’s elite colleges, where the doors have been thrown open but taking part in even the most mundane activities can raise suspicions. Just last week, an anonymous tipster called campus police on a black University of Massachusetts Amherst employee going about his daily routine, according to the university. 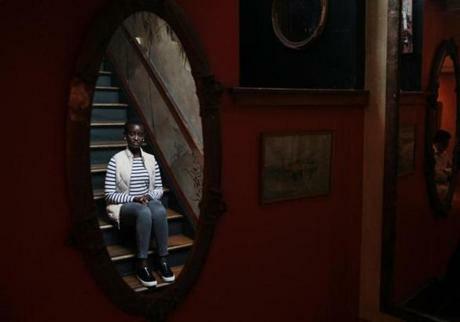 The widespread exposure has sometimes been overwhelming for Kanoute, who grew up in New York but attended a small Connecticut boarding school. Attending Smith, a college of 2,500 undergraduates, was an opportunity to engage in a wider, more diverse world, Kanoute said. As she waits for the results of Smith’s investigation, Kanoute said, she is focused on her classes and earning her psychology degree, and finding comfort in her close friendships and her family, including her mother and three younger sisters. Kanoute, soft-spoken and dressed in pearl-stud earrings, said she doesn’t regret her decision to broadcast her experience on social media. And that’s the last thing she wants. On July 31, Smith police received a call from a staff member about Kanoute, who was working on campus as a teaching assistant and residential adviser. The employee questioned whether Kanoute, who was sitting in the common area of a residential building after having lunch, was supposed to be there. In the Facebook post that sparked outrage, Kanoute wrote that the employee had reported her as a “suspicious black male” and included her video of her conversation with the police officer. In the transcript of the phone call released by the college, the employee did not specifically mention race. But Kanoute said a dining hall employee who was also in the building was aware she was a student and that the caller never approached her before reporting her to the police. She doubts the situation would have escalated to a police call if she had been white. In an echo of Kanoute’s experience, a tipster called UMass Amherst police last week about a “gentleman, African-American, bald” who was carrying a “large duffle bag on the right shoulder . . . seemed very agitated.” The anonymous caller asked the police to check on the man. When they responded, the police discovered the man was a longtime university employee who was carrying his gym clothes in his bag, UMass Amherst chancellor Kumble R. Subbaswamy wrote in an e-mail to the campus community. Such incidents are too common, said Carl Takei, an attorney with the American Civil Liberties Union, which is representing Kanoute. The ACLU has asked Smith to make changes to its policies, from how it handles police calls to mandatory, in-person, racial bias training for faculty, staff, and incoming students. The ACLU has also asked Smith to create housing for black students who may want to live together, a longstanding request from black student groups. The ACLU has also asked the administration to expand its celebration of Otelia Cromwell, Smith’s first black student. And it has requested a reassessment of the legacy of William Allan Neilson, the college’s president for more than two decades until 1939. According to one historical study, Neilson once reassured a white parent that the college’s dormitories would be racially segregated and that black students were encouraged to find rooms off-campus. But later in life he joined the board of the NAACP. “We want the college to change its policies, so that other students don’t go through what Oumou did,” Takei said. Smith officials said the investigation into the incident should be complete at the end of the month and that the college, where “Black Lives Matter” signs hang from multiple buildings along the main street, is implementing changes. About 6.6 percent of Smith’s more than 2,500 undergraduates identify as black, according to the college’s most recent data. The university is requiring antibias training for staff, although some of it will be done online. Smith is willing to review documents about Neilson’s contribution to the college. Some Smith employees have also questioned whether Kanoute’s experience reflected racial bias or simply a staff member following the college’s policy of calling police if something is amiss. They note that Kanoute was in the common room after dining hours had ended and the building was about to close. But some other black Smith students say they, too, have been called out for behavior that white students wouldn’t have been. “We don’t get the same grace,” said Amanda Nwankwo, 20, a junior who helped organize the walkout at convocation. Kanoute’s experience has opened up opportunities for Smith students and administrators to discuss the concerns facing black students on campus, Nwankwo said. Earlier this month, college president Kathleen McCartney met with student government and black campus groups over a traditional Smith tea to talk about the next steps the institution will take. That offers a glimmer of hope for Nwankwo and her friends. “This is one of the few chances we have to make a change,” Nwankwo said. Kanoute may not always feel comfortable in her new role, but she said it’s important to speak up about bias and she won’t be silenced.